Ever wondered why, when you go to any fast food restaurant, say for example KFC, you’re constantly bombarded with additional questions even when all you want is a simple 2 piece chicken meal? Buying anything from your local stores will never be the same if the person selling you whatever it is that you’re looking for, didn’t try to push for additional sales and promotions. This is what is commonly known as a sales funnel. It is a simple concept that is poorly understood by many marketers, both online and offline. If you would like to learn more, all you have to do is to just keep reading. A funnel is a visualized representation of the sales process that allows you to turn a prospect into a sale, and that sale into more sales and actions. For example, if Mcdonalds is looking to run an aggressive promotion by offering 5 dollar meals as a time limited deal, they can get more customers into their store. These customers will then be subjected to the full extent of the Mcdonalds sales funnel in order for Mcdonalds to maximize their sales, and in turn, their profits. Sure, they may lose three dollars on their promotion, but they make make that money back if the customer buys a large coke and then adds a Mcflurry on top of their existing order. A funnel provides your business with a simple, standardized process that would allow your business to properly implement the steps needed to convert fresh customers or fresh leads into customers that have sat through a few upsells or have been asked for a few actions to be done. Essentially, we want to increase each customer lifetime value. Firstly, you know what to do in a few common scenarios. Some leads may have absolutely no idea what they would like to purchase, and sometimes it may be up to you to suggest a product or service to solve their problem. Having a funnel would allow you to know exactly what you need to do next. Additionally, you will know exactly what you would need in order to get or ditch the lead. Not only that, but this allows for further testing. If a lead is not willing to perform an action, say, give you their email address and phone number, you can make a test of your own and find out why. What Else Can You Do With Funnels? 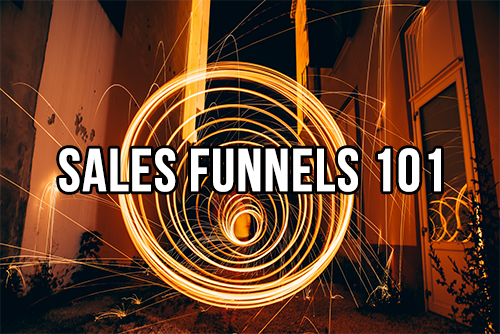 With Funnels, you can now provide a standard sales script to your customers and allow them to be completely used by all of the processes that you have set up. For example, an ice cream store wants to set up its own funnel. When the customer enters the store, the staff will now have a simple script that they can refer to in order to get the customer to upgrade their product (Would you like two scoops instead of one? ), add other optional purchases to augment their original product (How would you like a waffle to go with that?) and perform actions that would help your business grow (Would you like to sign up for our survey? You can get a free scoop of ice cream!). Now that you have a better idea of what a funnel is, and how it could help your business, you can now consider how you could make your own funnel and improve your business.